Clearly, someone at a Facebook exec meeting gave quite the convincing speech about the power of automatic personalized video generation, because Facebook just rolled out their second video generation service in the past two years. With the Facebook Lookback Campaign in 2013, and now the Facebook Say Thanks Campaign, Facebook continues to pioneer community marketing while simultaneously proving that automatic video generation is an invaluable tool. Like many other companies, Facebook has realized that online videos are the most effective way to engage both current and lapsed users. Furthermore, the engagement generated by these videos is multiplied exponentially when considering the fact that over half of 25-54 year olds share videos online (Emarketer). Another aspect of these campaigns’ efficacy is that video content consistently outperforms text-based content (SocialMediaToday). Unfortunately, not every company has the capacity to create this type of product from scratch; in fact, most don’t. Only the largest, most successful companies have access to a volume of skilled developers, can deal with server complications, have the luxury of an excess of free time, possess the financial resources, and have an all-encompassing comprehension of the processes involved in video generation. If you are not lucky enough to be a multi-billion dollar company, internal video generation is a nearly impossible endeavour. However, Sezion’s platform has an accessible solution to this. Using our technology, any company can construct a similar service that requires the automatic generation of customized videos. We can help you understand how to successfully execute a campaign like Facebook’s Say Thanks, and we can also give you the technological tools to do so. In this manner, you can utilize the same marketing ploy as Facebook, and join them at the forefront of technologically advanced marketing. 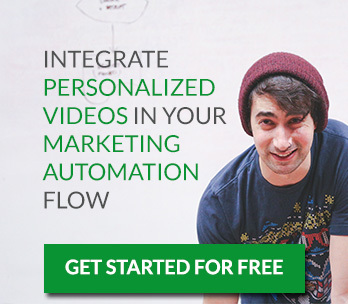 Marketing tips, Personalized Videos, Social Media automatedvideo, automatic video editing, automaticvideo, facebooklookback, facebooksaythanks, how to, howtomakeavideo, online video, personlizedvideo, sezion, Social media, Social Media Tips, video, videogeneration, VideoMarketing, VideoSEO. permalink.